Situated in the busy business hub of Port Elizabeth and in close proximity to the airport is the Cherry Place Caf? and Conference Centre. A brand new state of the art facility which is adaptable beyond belief. It?s a destination venue with the fastest WIFI, a great Caf? with exquisite cuisine and a Conference Centre and Boardroom facility with all the bells and whistles. Private and intimate, with underfloor data cabelling, wireless microphones and all the gadgets a Conference Centre could wish for. Catering for up to 100 people and more, this is the ideal venue for your next conference or private party. 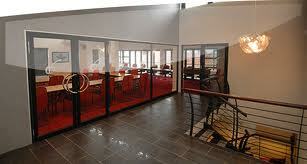 Alternatively, we also offer an 8 seater mini board room for meetings and lunches.